Where would we be without mayonnaise? 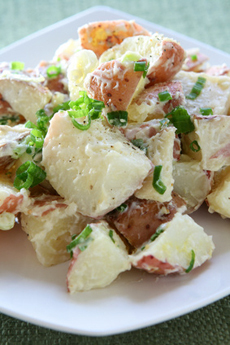 No potato salad! No cole slaw! Unthinkable! Photo © J. Java | Fotolia. CAPSULE REPORT: Learn the history of mayonnaise, how it evolved into its modern form, and the American mayonnaise king. This is Page 1 of a two-page article. Click on the black links below to visit Page 2. Which came first, the mayo or the egg? Most assuredly it was the egg, since mayonnaise as we know it today did not appear until the 1800s. While stories of the provenance of almost any food will vary, the leading belief is that the concept for the original mayonnaise sauce was brought back to France in 1756 from Mahón, a city on Minorca in the Balearic Islands, off the northeast coast of Spain. 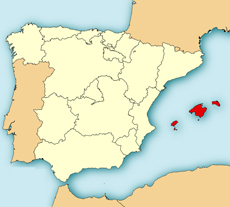 Minorca, the birthplace of mayonnaise, is the easternmost of the three Balearic Islands, now part of Spain. Mahón is on the bottom half of the island. Map courtesy Wikimedia. Traditional sauces of the day were made of cream and eggs. As the story goes, the Duke’s chef had no cream and substituted olive oil, naming the new sauce “Mahonnaise” in honor of the victory. There are various reasons given for the evolution of the word to mayonnaise—from typographical error to the old French word for egg yolk, moyen and manier, to stir or to blend. 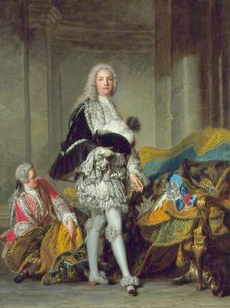 Louis-François-Armand de Vignerot du Plessis, duc de Richelieu, who commanded the battle that gave mayonnaise its name. Image courtesy Wikimedia. *Literary note: The Duke was an accomplished military strategist and diplomat, attaining these distinctions despite his reputation as a man of exceptionally loose morals. Reportedly, the writer Pierre Choderlos de Laclos based the character Valmont in Les Liaisons Dangereuses on him. Sauces were invented as cooking mediums, meat tenderizers and flavor enhancers. Each culture developed its own style, using favored ingredients and techniques. 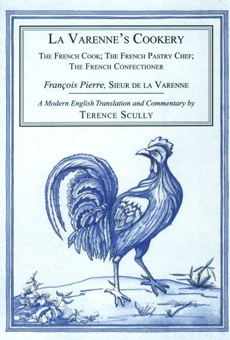 The history of modern French sauces began during the reign of Louis XIV, with the great chef François Pierre La Varenne (1618-1678). The French concept of “mother sauces” (sauces mères) developed in the 18th century by another legendary French chef, Marie-Antoine Carême. He devised a methodology of classifying the hundreds of French sauces into five seminal mother sauces. How great was La Varenne? His cookbook, first published in 1651, is still in print. Find it on Amazon.com. *Here are a few of the differences: Out: heavy spices. In: the natural flavor of foods. Out: Exotic spices (saffron, cinnamon, cumin, ginger, nutmeg, cardamom, nigella, seeds of paradise). In: local herbs—bay leaf, chervil, parsley, sage, tarragon, thyme). In: fresh vegetables and fish instead of preparations that masked the ingredients. †Espagnole is brown sauce with tomatoes; béchamel is white sauce; hollandaise is an emulsion of egg yolk and butter, usually seasoned with lemon juice, salt and pepper; velouté is a stock thickened with butter and flour (roux). Both hollandaise and mayonnaise are emulsions of egg yolks and fat. Hollandaise is made with butter, egg yolks and lemon juice—usually in a double boiler—and is served as a warm sauce atop egg, fish and vegetable dishes. Mayonnaise combines egg yolks with vegetable oil and lemon juice (or vinegar) and is typically served cold, as a condiment or binder. All other French sauces are variations on these base sauces.